American and European statesmen responsible for the Libyan crisis should be finally held accountable, Italian geopolitical analyst Paolo Sensini has told Sputnik praising Russia's approach to the North African country's affairs and pinning hopes on former Libyan leader Muammar Gaddafi's son Saif al-Islam as a potential head of state. The genuine causes of the Libyan war and the role the US and Western European powers played in it remains largely neglected by the mainstream media, Paolo Sensini, an Italian historian, geopolitical analyst and author of "Sowing Chaos: Libya in the Wake of Humanitarian Intervention," told Sputnik Italy. "After Afghanistan and Iraq, Libya became yet another victim of the neocolonial war," Sensini said. "The international community should hold accountable those Western statesmen who are responsible for the social and humanitarian catastrophe in Libya." In 2011 the Italian historian published a book entitled "Libya 2011" that exposed little-known but very important facts. In particular, it turns the spotlight on Libyan extremist movements that organized the coup, which was dubbed by Western media as "democratic." Additionally, it reveals the role of France, the UK, the US and the Persian Gulf states. According to Sensini, the Al-Arabia and Al-Jazeera media outlets waged an all-out war against Tripoli. According to the geopolitical analyst, Libyan leader Muammar Gaddafi's plan to adopt a Pan-African "Gold Dinar" currency to use it in trade for African resources instead of the US dollar and French franc, had become the trigger point for the imminent intervention. "This caused a real tsunami," the Italian historian noted. "Gaddafi was called the enemy of the African financial system. This is confirmed by the email exchange between [then US Secretary of State] Hillary Clinton and [her aide and confidant] Sidney Blumenthal published by WikiLeaks." The email entitled "France's Client and Qaddafi's Gold" revealed that Gaddafi's government "[held] 143 tons of gold, and a similar amount in silver," adding that the precious metals had been accumulated by the Libyan Central Bank "to establish a pan-African currency based on the Libyan golden Dinar." "This plan was designed to provide Francophone African countries with an alternative to the French franc (CFA)," the report read. Sensini pointed out that despite the fact that Gaddafi was financing the 2007 presidential campaign of former French leader Nicolas Sarkozy — which was denied by the French ex-president — the latter launched an aerial campaign against the Libyan government seeking to take control of Libyan crude by replacing the Italian energy company Eni with France's Total oil and gas corporation. The Italian historian suggested that a return to the politics of Saif al-Islam, the son of Muammar Gaddafi, could facilitate the solution of the Libyan crisis. Sensini has focused attention on the fact that before his father's death Saif al-Islam Gaddafi had played an important role in the state and advocated rapprochement with the West. Following the Libyan coup the politician had been held in prison from November 2011 until June 2017 when he was released by rebels. Sensini praised Russia for its approach to the Libyan conflict. "I think that Russia played its cards well in Libya," he said. "After Russia has managed to cope with the crisis in Syria and actually saved the country from collapse at the hands of Takfiris [radical Islamic extremists], it began to play the Mediterranean game in the most reasonable way." He highlighted that while pursuing its own strategic goals in the region, "Moscow is trying to mediate in the situations which the Americans pushed to the brink of disaster." "A few days ago Putin said that Syria had been almost completely liberated from terrorists, and Daesh was almost completely destroyed," Sensini highlighted. "On the one hand, we see the importance of Russian intervention in the conflict, and on the other hand we see that after a period of relative peace, Israel continues bombardment, creating a dangerous tension." On December 8, Israel conducted airstrikes against Hamas sites in Gaza killing two and wounding 15 others, as Press TV reported. The attacks have been carried out in response to rocket strikes successfully intercepted by the Iron Dome missile shield. 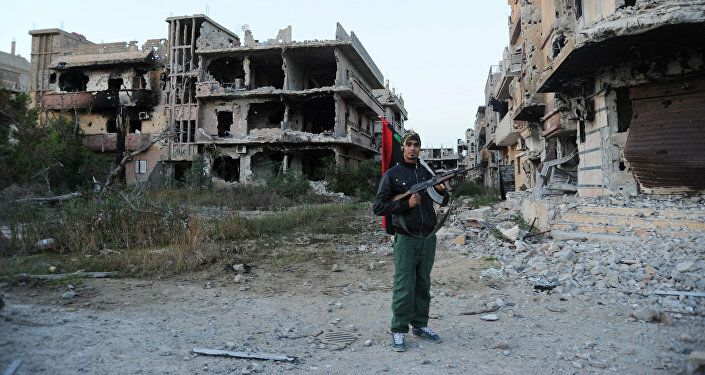 Libya has been engulfed by a civil war since Muammar Gaddafi's ouster in 2011. The country has de facto ceased to exist as a unified state. 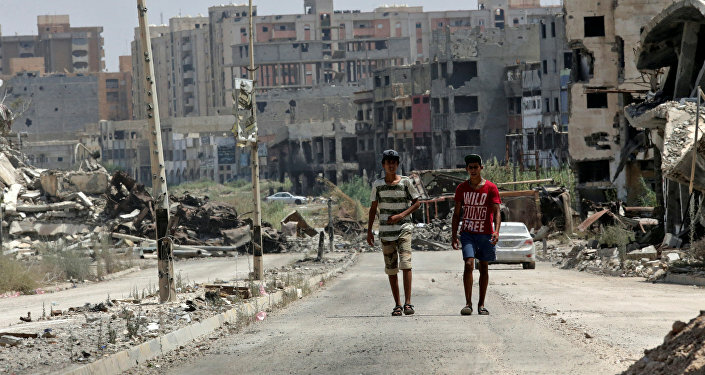 The international community's efforts to resolve the six-year-long conflict has resulted in the creation of the Tripoli-based Government of National Accord (GNA) led by Fayez Sarraj, who assumed the position of prime minister of the GNA in March 2016. Meanwhile, a vast part of Libya is being controlled by the elected parliament, supported by the Libyan National Army (LNA), based in the city of Tobruk. Khalifa Haftar, a Libyan military officer and the head of the LNA, does not recognize the authority of the UN-backed government. Besides the two major forces, there are numerous non-aligned tribes and armed groups. Some observers believe that Saif al-Islam Gaddafi's return to politics may break the Libyan stalemate. The views and opinions expressed by Paolo Sensini are those of the analyst and do not necessarily reflect those of Sputnik.